When we brought our readers an options profit play in the legal weed market on March 29, we never could have imagined how fast Money Morning readers would make triple-digit returns. Our readers had the opportunity to make a profit of 107% in just three weeks. And the exact same stock is offering the exact same profit potential in the next month. You might just think about Word or Xbox when you hear "Microsoft," but the company is also a play on the $10 billion legal cannabis industry. 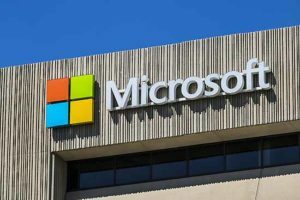 In June 2016, cannabis-compliance firm KIND Financial partnered with Microsoft to run its software through Microsoft's cloud. KIND uses technology to track marijuana plants from "seed to sales." Cannabis growers will register each plant they produce with the state government, as well as the sale of each marijuana bud from the plant. This ensures dispensaries are compliant with local and state laws, a service essential to the growing legal marijuana industry. And the compliance sector is due to explode as the legalization trend continues. It's a matter of "when," not "if," the United States completely legalizes medical marijuana, as 30 states and the District of Columbia have some form of legal marijuana laws. While Microsoft doesn't publish its revenue from KIND, the tech giant expects to generate $20 billion in commercial cloud revenue in 2018. The company will report earnings on July 19, and I uncovered a pattern in the stock ahead of its earnings reports that led to 100% returns last quarter . July $27 calls? Maybe you mean July 20 expiry, those 100 calls now around 4.00. Your proofreader needs a wakeup call.